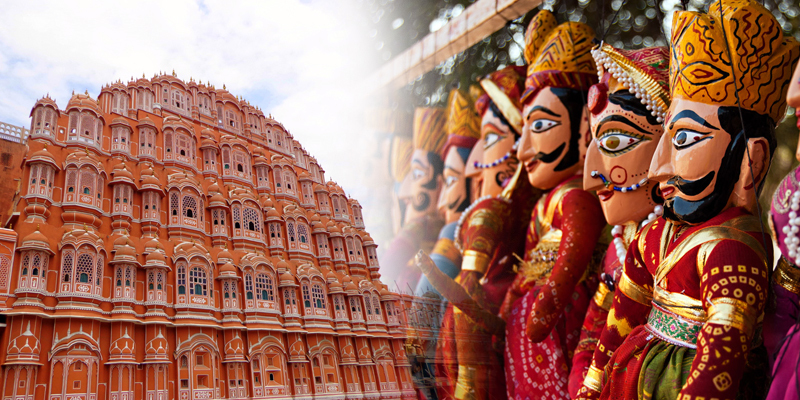 Arrive Delhi, meet & assistance at the airport and transfer to the hotel. Night stay at Delhi. Morning after breakfast and drive to Bikaner. Arrive Bikaner & check in hotel. Rest of the day at leisure. Night stay at Bikaner. Morning after breakfast and drive to Jaisalmer. Arrive Jaisalmer & check in hotel. Rest of the day at leisure. Night stay at Jaisalmer. Morning after breakfast and drive to Udaipur en-route visiting the Jain temples at Ranakpur, superbly preserved in a near-perfect condition for over 500 years. The most attractive features are the 29 halls of the temple, which have 1444 pillars of which no two are alike. After visiting continue drive to Udaipur. Arrive Udaipur and check-in hotel. Night stay in Udaipur. Morning after breakfast and drive to Pushkar en-route visit Ajmer. Visit the famous Dargah of Sufi Saint Hazrat Khwaja Moinuddin Hasan Chisti. The shrine is next only to Mecca or Median for the Muslims of south Asia. Akbar used to make a pilgrimage to the Dargah from Agra once a year. After visiting continue drive to Pushkar. Arrive Pushkar and check in hotel. Later visit Pushkar. Pushkar boasts temples, though few are as ancient as you might expect at such an important pilgrimage site, since many were deserted by Aurangzeb and subsequently rebuilt. The most famous is the Brahma Temple, said to be one of the few temples in the world dedicated to this deity. It's marked by red spire, and over the entrance gateway is the hans, or goose symbol, of Brahma, who is said to have personally chosen Pushkar as its site. Night stay in Pushkar. Morning after breakfast and drive to Ranthambhore. Arrive Ranthambhore & check in hotel. Rest of the day at leisure. Night stay at Ranthambhore. Morning after breakfast and drive to Bharatpur. Arrive Bharatpur & check in hotel. Later visit Bharatpur Bird Sanctuary on rickshaws. The most Spectacular water- bird Sanctuary features nesting indigenous water- birds and migratory birds. From October till December, the indigenous water- birds nest around the lake, from December on the migratory Geese, Duck and Cranes are the main feature of the bird sanctuary. Night stay in Bharatpur. Morning after breakfast and drive to Sariska. Arrive Sariska & check in hotel. Later proceed for sightseeing tour of Sariska a Jeep safari into the Sariska Tiger reserve, Excellent viewing of Sambar deer, Blue Bull, Wild Boar, Spotted Deer, Peacock and Langur along with varied species of birds and also spot the very elusive Royal Bengal Tiger and the Leopard. Night stay at Sariska. NEW DELHI - An extensive sight-seeing tour of New Delhi would include a visit to the Qutub Minar, a drive along the ceremonial avenue - Rajpath, past the imposing India Gate, Parliament House, the President's Residence and would end with a drive through the Diplomatic Enclave. Night stay at Delhi.